February 18, 2017, age 66 years. Beloved husband of Janice (nee Rost) for 45 years. Cherished father of Amy (Nick) Serio and Kevin Dickert. Adoring papa of Madelyn and Ellie. Dear brother of Debbie (Charlie) Kopling, Mary (Mike) Walczak and the late Kathleen Griger. Further survived by other relatives and friends. 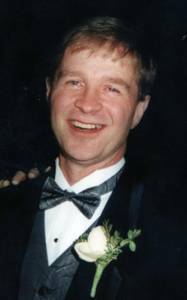 Family and friends will gather to celebrate Stephen’s life Fri., Feb. 24, 2017 at the Suminski / Weiss Funeral Home 1901 N. Farwell Ave. Milwaukee, WI 53202 from 4:30 PM until the time of the Memorial Service at 6:30 PM. In lieu of flowers, memorials to the family, appreciated.